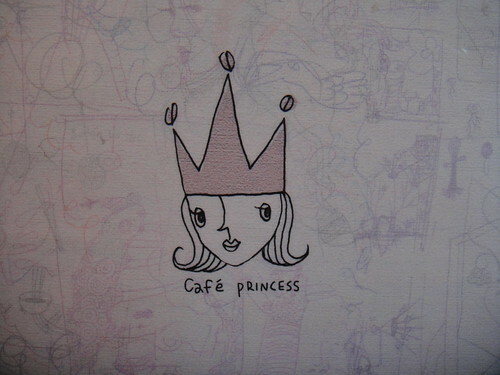 The name of this small and cozy café pretty much sums up what you’ll get when you visit Café Princess. 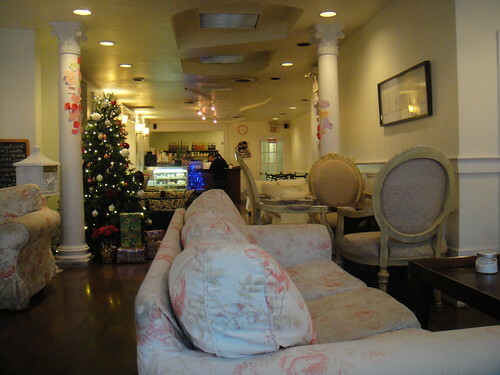 It’s a stereotypically girly and pink café located on the upper level of one of the restaurants at the Yonge and Finch intersection, making it very convenient to stop by for some dessert or tea after work to catch up with a few girlfriends or play some board games on a rainy weekend. They offer a good-sized selection of bubble tea, hot and cold drinks, waffles with ice cream and/fruit, cakes, and sandwiches & bagels. There are large comfy sofas and coffee tables placed throughout the open space and resembles someone’s living room. Several board games are placed at the corner near the cashier counter and costs $2.50 per game to play. However, they have a seating limit of 2 hours due to the minimal space. When I stepped into Café Princess on a windy and rainy afternoon, I chose a seat near the window. Much like what everyone else is doing nowadays, the space was already decorated with lots of Christmas trinkets and lights even though it wasn’t even December yet. There was even a Christmas tree brightly lit in the middle of the room. As you strolled down the wooden floor to the restroom (which calls for a “prince” or “princess” to use), you really feel like you are in someone’s home instead of a café. They did a really good job to re-create a cozy and comfortable atmosphere in which you can catch up with friends and have some goodies. 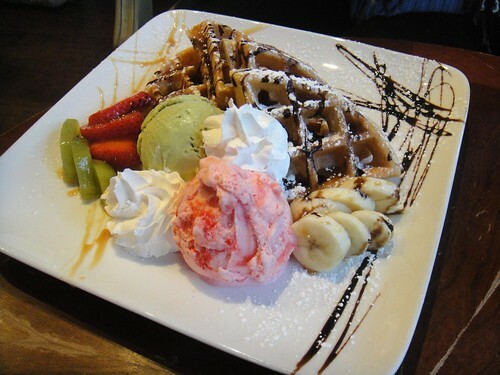 My friend Grace and I ordered the waffles with ice cream and a drink. It was a really nice place to chat and snack since it was relatively quiet. The place only got louder when one of the two larger groups of friends around us started playing a game of Jenga. 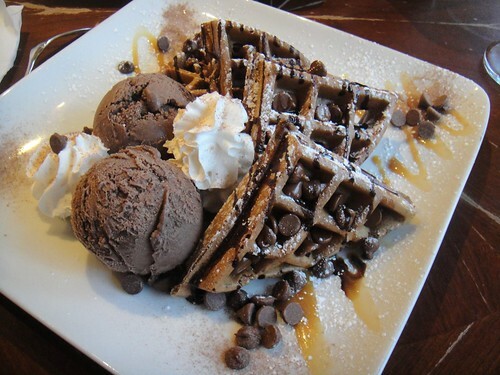 Here is the Chocolate Chip Waffle that I ordered. 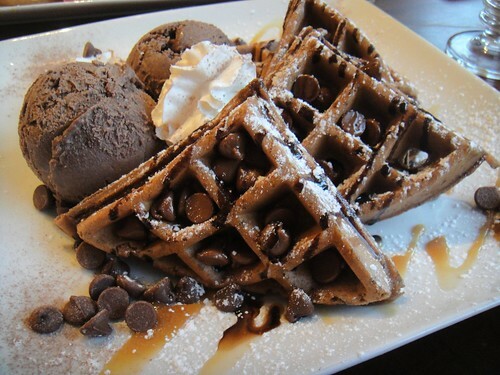 It comes with two scoops of chocolate ice cream and lots of chocolate chips sprinkled and embedded right into the squares of the waffle itself. It was exactly what I wanted since I was feeling for something sweet and chocolatety. 🙂 I don’t usually order waffles for dessert since they’re not always well-made — I’ve had hard waffles that tasted extremely bland and usually opt for cakes instead. These waffles were extremely soft and warm when they arrived! I loved how some of the chocolate chips had melted into the waffles and made it taste completely chocolatety. I really enjoyed it! 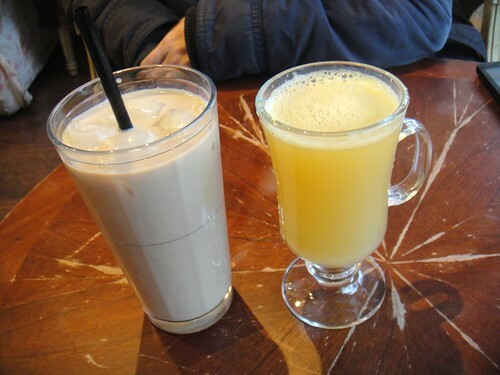 Oh, and here are the drinks that we got. I chose something hot while Grace chose a cold drink, an iced coffee, a drink she’s had before at Café Princess and enjoyed. 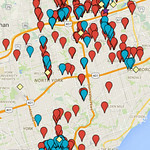 This entry was posted in board game cafes, Food and tagged apple cider, board game café, Café Princess, chocolate chip waffle, Dessert, drinks, Finch Station, food blog, foodie, free wifi, North York, princess waffle, relax, restaurant review, social, tea, Yonge Street. Bookmark the permalink. Such a Korean style cafe – I really need to go here for a visit and reminisce! 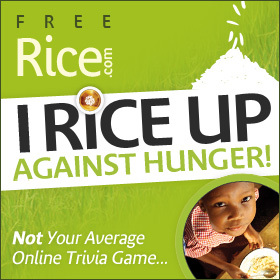 Haha, I think you’ll like it. 🙂 It’s Korean-owned for sure. They had some Korean characters underneath their restaurant sign. I love this cafe!!! My fave in the GTA. 🙂 So happy you wrote about this! If you go back next time, you must try the red velvet cake (it’s to die for!!) & the pumpkin latte and sweet potato latte are delish! !